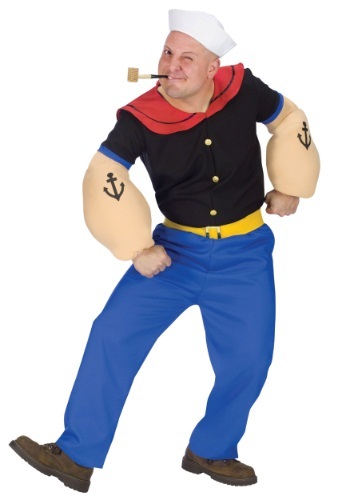 You can probably fault Popeye for a few things, like, is he really that great of a sailor? But one thing you CAN'T fault him on is his vegetables intake. They say you should have at least 3 servings of vegetables a day, and this guy is having that and more in spinach alone. Now, does spinach give you super strength? It couldn't hurt! Teens might not love the idea of gobbling spinach down by the can full, but they'll love the idea of being this classic comic book character. Just watch out for anyone dressed as Bluto out there this Halloween, or you might wind up in one of those infamous cartoon fightin' dust clouds.